Information on the Cash Budgeting Method. Check and debit card budgeting methods are refinements of the Budgeting Cash Envelope System. When I say “refinements” in this case, I don’t mean that a cash based budgeting system cannot work or be an effective budgeting method for some people, because it absolutely can. However, cash based budgeting systems do have some notable shortcomings which I discuss in more detail below, and the use of checks and/or a debit card is intended to shore up those weaknesses while still maintaining the integrity of the budget process. As a means to illustrate how checking and debit card budgeting methods work, assume that your financial situation for the month is as follows. What this illustration shows is that after you pay all of your bills, you have $1,000 left to cover your day-to-day living expenses for the month. It’s important to clarify before going any further that there are distinct advantages and disadvantages of making payments with checks, debit cards, and cash, and to learn about that in more detail you can see the article, “Comparing Paying with Cash, Checks and Debit Cards.” However, for purposes of this budget-related article, I am going to treat the use of checks and debit cards as essentially the same, because both payment methods draw funds directly from your checking account each time you make a purchase. There are distinct advantages to managing your budget with checks and/or a debit card as opposed to cash. 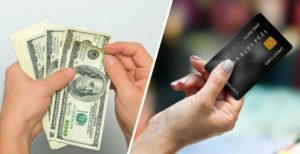 Convenience and flexibility – If all you have is cash and you’re out and about then you’re your spending is limited to the money you have in your purse or wallet. 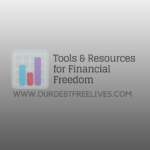 However, if you’ve got a debit card or a checkbook then you have immediate access to all of the money in your budget (which is $1,000 in our example). Security – If your checkbook or debit card is lost or stolen there are steps you can take to limit your risk of loss, but if cash is lost or stolen then it’s likely gone forever. Better record keeping – When you make purchases with cash you only have your receipt from the transaction, and in some cases you may have no receipt at all (paying a babysitter, for example). On the other hand, when you pay with a check or debit card you not only have the receipt from the transaction, but you have other records as well (entries on your bank statement or, in the case of checks, check carbons). While there are certainly advantages to managing your budget with checks and/or a debit card, there are drawbacks as well. 1. Discipline – While I don’t pretend to know all of the psychological reasons why, people tend to take spending cash more seriously than writing checks or handing over a debit card. Somehow spending cash “hurts” more, or makes the cost of a transaction more “real.” As a result, some people have an easier time respecting and staying within their budget using a cash based budgeting method as opposed to a check/debit card based budgeting methods. 2. Math Errors – If you make a math error in tracking your budget while using a checking or debit card money budgeting method there is a real possibility you could overspend, thinking you have more money in your account than you actually do. With a cash based system it’s unlikely you’ll go long thinking you have more money than you do. For example, you might think you have $100 of cash left, but if you open your purse or wallet and you only have $60 then that’s it – you’ve only got $60. Granted you may not be able to remember where the missing $40 went (which can be frustrating), but after counting the money in your hands there will be no doubt how much you have to work (which can provide a sense of certainty). 3. 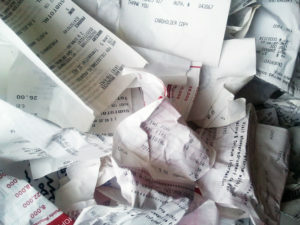 Losing Receipts – When using debit cards in particular, it’s not difficult at all to lose track of a receipt, and thus forget to account for it in your budget. For example, if you get gas with a debit card and fail to take the receipt then it’s very likely you’ll forget to deduct the purchase from your budget. As with math errors, if you miss recording a transaction such as this then you’ll think you have more money to spend than you actually do, which will put you in danger of blowing your budget. 4. 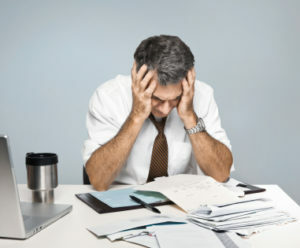 More Complex Record-Keeping – While it’s true that using checks and debit cards technically provides you with better record-keeping, it also makes your record-keeping more complex. Think about it, if you convert the remaining $1,000 in your account for day-to-day living expenses into cash then you will have very few transactions to account for on your bank statement when you balance your checkbook. On the other hand, each check and debit card transaction will hit your bank statement, and all of those transactions can be difficult to reconcile unless you’re diligent and organized. It’s important to note that the check/debit card method of budgeting and the use of cash basis budgeting are not mutually exclusive. In fact, you can combine the two methods in a myriad of ways, and doing so can provide you with a lot of flexibility and can be tremendously effective. To illustrate, in our example you have $1,000 to manage your day-to-day expenses for the month. That being the case, you might elect to take $100 in cash to spend on miscellaneous things over the course of the month, leaving $900 in your account to cover checking and debit card transactions. Thus, as you go through the month, you have the flexibility to pay for things with a check, debit card, or cash as you see fit. Again, that’s just an example. There are almost limitless ways you can combine checking and debit card based budgeting with cash based budgeting to manage your finances. The important thing is to develop a system that meets your needs, that you’re comfortable with, and that best enables you to live within your means. How Does The All Cash Budgeting Method Work? 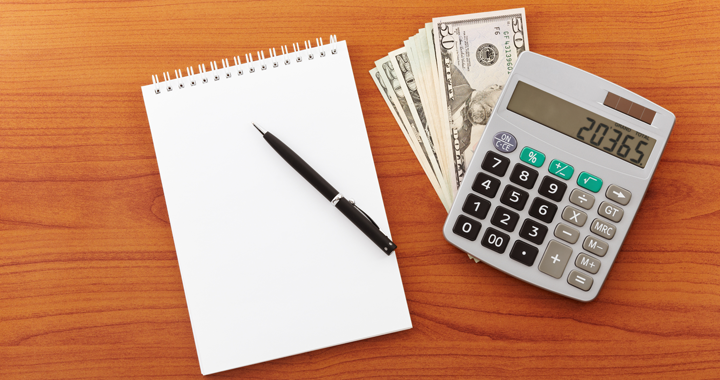 The all cash budgeting method is simple and straightforward. Here’s essentially how it works. You convert the entire amount of the check to cash. Pay all of your bills in cash. You set aside any cash that you want to save in a semi-safe place (the proverbial jar in the closet). With your remaining cash you cover your day-to-day living expenses. If you run out of cash, you quit spending. Who Is The All Cash Budgeting Method Best Suited For? As appealing as the all cash budgeting method is in terms of its simplicity, it’s only a practical money management solution for a limited number of regular people. Why? For one thing, it’s a significant (not to mention stressful) issue to keep cash – especially large amounts of cash – safe and secure. Also, while you might be able to walk down to the property manager’s office to pay your rent in cash, it’s much more of a pain to do so for things such as your utilities and phone bill. Despite its drawbacks, the all cash budgeting method can be useful for the following categories of people. Young kids living at home. Students away from home whose primary expenses are largely covered for them (room, board, insurance, etc.). Those who are living with relatives or friends due to age or personal hardships. Those with a lack of understanding and/or a great fear of banks and the financial system in general. 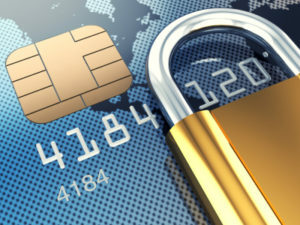 Those who have lost checking account privileges by doing things such as bouncing checks or continuously over-drafting. It can also be from not settling up with the bank, either due to excess, abuse, mismanagement, or a lack of understanding. Illegal immigrants or others who do not want to provide the necessary identification to open a bank account. Criminals who do not want their identity or whereabouts to be traced. Anyone else who wants to remain anonymous for whatever reason. Is the all cash budget right for you? Check out our article on The Budgeting Cash Envelope System.